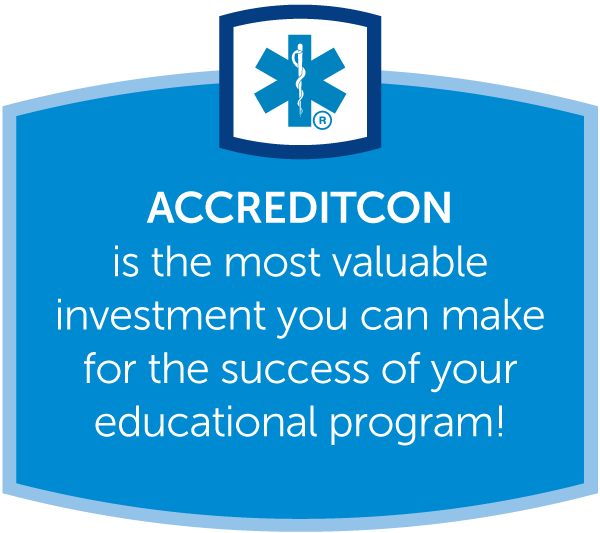 Not your typical EMS conference, ACCREDITCON is designed to be the comprehensive collaborative that offers every necessary resource for achieving accreditation success! ACCREDITCON is the most valuable investment you can make for the success of your educational program! Listen to experts, interact with CoAEMSP staff and board, plug into best practices, network with peers and colleagues, and get answers to pertinent questions regarding initial and continuing CAAHEP accreditation for Paramedic educational programs. CoAEMSP staff, board, and seasoned presenters will instruct you on the specifics of CAAHEP accreditation so you can improve the administration of your Paramedic program and Paramedic education by avoiding costly and time-consuming mistakes, work efficiently, and eliminate frustrating roadblocks. ACCREDITCON is the definitive word on CAAHEP accreditation for Paramedic educational programs! The CAAHEP Accreditation Workshop has limited seats remaining. ACCREDITCON Registration is still OPEN.